One of our favorite roles when developing the miniature information graphics for National Geographic was doing the necessary research to come up with interesting facts and concepts to illustrate. We ended up submitting 50+ ideas, of which only a handful were selected for development and design. 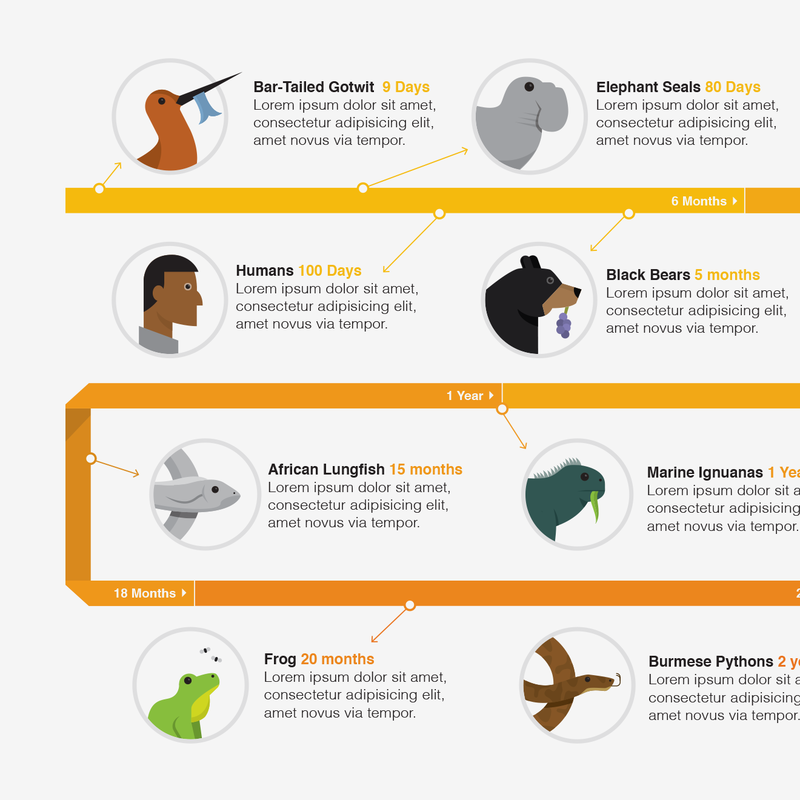 Though it can be a bit unfortunate for those that don’t make the cut, we were delighted when National Geographic asked us to create a larger illustration based on one of our original ideas – a side-by-side comparison of gestation times amongst various mammals – from an oppossum (2 weeks) to an elephant (21-23 months, yikes!). For a more detailed look, pick up a copy of the March 2013 issue or check out our updated case study.